Team Movistar Yamaha already preparing for the worst step if Valentino Rossi decided to end his career alias retire from MotoGP. Lin Jarvis Fork Tala as team boss did not want too long to get certainty about the future of The Doctor. Jarvis had been given a deadline to Rossi to talk about a contract that expires next year. He predicts the possibility of seven-time world champion in the premier class of MotoGP will have a meeting after three or four races. "The motivation depends on the performance of the bike. In the winter I hope to talk to him to understand what it means, but I think he will decide after the 3-4 race," said Jarvis as quoted dailystar, Monday (11/27/2017). Speaking about whether the Yamaha team has prepared a plan B if Rossi was reluctant to renew his contract, Jarvis answered already considering a replacement. So far there are two drivers who entered as a candidate teammate Maverick Vinales in 2019, namely Johann Zarco (Yamaha Tech3) and Cal Crutchlow (LCR Honda). "Johann Zarco will be one candidate. His performance in 2018 will be very important. 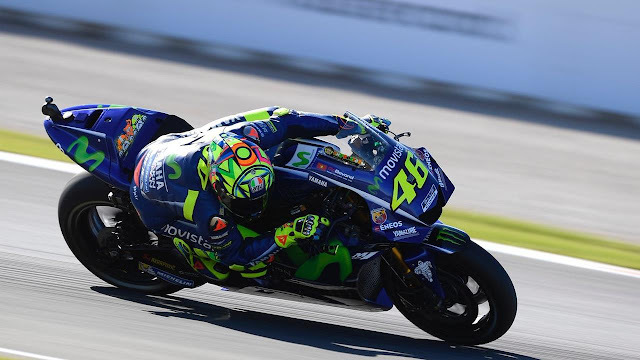 Some drivers, including Cal Crutchlow, will also be a free agent at the end of the 2018 season so we'll see how 2018 goes for Rossi," said Jarvis.